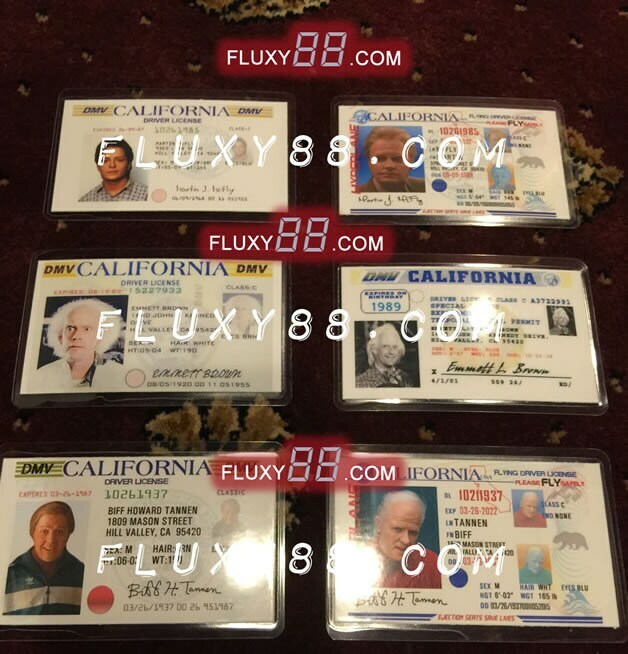 Back to the Future - Now get all 6 drivers license props!! Marty McFly and Doctor Emmett Brown Driver License Props. All 6 for one low price. Marty and Doc, young and old and Old Biff Tannen and Middle Aged "auto detail" Biff drivers license props. Also, check out our free iPad app, "Time Circuits Dashboard Clock" Just like in the Back to the future movie! Exactly what I was expecting, lighting shipping. Very pleased! Will do business again!